I suspect that the great majority of adults here today know someone — friend or family member, who at one time was an active and devout member of the Church, but who has formally left the Church or become inactive. The reasons are obviously varied, but one of the reasons is that they were unable to find satisfying answers to many thorny questions. Throughout all of history, there have been large numbers of believers and disbelievers. 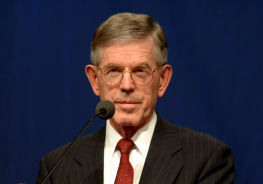 On that subject Terryl L. Givens, the highly respected Mormon scholar, has written: “There are appealing arguments that God is merely a childish projection, that modern prophets are scheming or deluded imposters, and that modern scripture is fabulous fiction. But there is also compelling evidence that a glorious divinity presides over the cosmos, that God calls and anoints prophets, and that his will is made known through a sacred canon that is never definitely closed.” Between those two, we all make our choice, or we attempt some middle ground position. My analysis is that as people grow up in the Church, they go for a long period only hearing one side of the story. In fact, many in my generation and certainly my parent’s generation went their entire lifetimes never hearing the disbeliever’s arguments. But today young people are suddenly confronted with an overwhelming blast from the other side, and the arguments are so new, so logically presented, and so beguiling, that the formerly devout member’s testimony crumbles. They conclude that information has been withheld from them, or that they have been misled or duped. They feel that we’ve treated them like children who couldn’t be trusted to cope with the full story. As you would expect, the enemies of the Church combine some factual information with a great deal of what appears to be deliberate dis-information and speculation, and everything has a highly meanspirited, antagonistic spin put on it. Their intent is to lure people away by whatever means they can find. There are no laws of fair play or rules of engagement in this war as far as they are concerned. They ask some questions for which the know there are no good answers. Why did the Prophet Joseph Smith use the seer stone when he had the Urim and Thummim? We might answer, “Because it seemed to work better for him.” But absent Joseph Smith being available for an interview, those questions are hard to answer. They ask some questions for which there are good answers, and they also ask questions for which we’re still seeking good explanations. 1. Get some exposure to these difficult questions. Don’t run away from these. We’ll always have questions. Think of the circle that was your sphere of knowledge when you were a child. As you grew older, the circle became larger. But as this circle of knowledge expands, just over the border that defines your knowledge is your circle of ignorance. The more you know, the more you should realize you don’t know. We will never have answers to every question that the critic or skeptic can ask. 2. Inoculation is a good practice. We’ve all had the experience of going to a physician or nurse to be vaccinated or inoculated. You are either injected or given a nasal spray with a mild version of a disease causing organism. This allows the body to build resistance to it. Note that this is a small, benign dose, introduced over time. Then, the body begins to develop antibodies. When and if we are exposed to that specific disease, our body is now prepared. We prevent individuals from contracting measles, mumps, whooping cough, diphtheria and typhoid and a host of other diseases, if only they will be inoculated. A full strength dose of all those together would probably kill us, but small doses seldom do any harm and save millions of lives each year. We had visiting in our home a few weeks ago several of our grandchildren. Of them, 5 were about to enter the Provo MTC as they prepared to serve their missions. Somehow the topic of polygamy came up and one person mentioned that the Prophet Joseph Smith had practiced polygamy. Eyes widened and jaws dropped. These soon-to-be missionaries had never heard that fact. I think it is far better that they hear such truths from me or some other respected leader or teacher and not from an antagonistic preacher or a disaffected former member. Again, it is easier to cope with these issues when taken in small doses, one-at-a-time, and with a knowledgeable instructor who can provide accurate facts to help everyone understand the truth. 3. We live in a different world today. I believe it would help if our classes made it more comfortable for those with honest questions to raise them. I’ve observed that some of our members are totally silent in classes when I know they have disagreements or questions, but they are afraid to speak up for fear of being labeled a “dissident.” We often gravitate in our classes toward pat answers and simple solutions to serious problems and questions. The solution to every problem may not be to read more scripture and pray—it may be to go for a hike in nature, to exercise for an hour, to read a good, practical book on the topic, seek professional help; or talk to a trusted friend. 4. There is a difference between the Holy Spirit and our emotions. I believe we need to build a testimony on facts and reasoning, along with feelings and impressions. Emotion alone leads to blind zealousness. It is instructive that at least twice in the Doctrine and Covenants (D&C 8: 2 and 88:118) we read the message that the spirit will work on both your mind and on your heart. Strong testimonies need both. The spirit will inform and corroborate your study of all truth. 5. Don’t presume that the claim that we are the true Church is accompanied by a claim that we are the perfect Church. The Church will always be led and populated by men and women who combine divinity and humanity. The early Church in the time of the Apostles wasn’t perfect either. Peter and Paul had public disagreements. Because the Church is not perfect does not suggest that it isn’t true. 6. Cut our leaders some slack. Don’t put them on a false pedestal. The Church will always be a bit of a paradox, because of that combination of divinity and humanity. There is a BYU professor who is a convert from the Roman Catholic faith. He remarked to a colleague, one day: I’ve finally figured it out. In the Roman Catholic Church in which I was raised, the official doctrine is that the Pope is infallible, and in fact, virtually no one believes that; while in the Mormon Church the official doctrine is that the Prophet is fallible. But no one seems to want to believe that. I contend that we need to believe that our leaders are fallible in order to keep our sanity and integrity. For example, Brigham Young taught a doctrine that has come to be described as the Adam-God theory. We don’t subscribe to that teaching today, and I doubt it was ever widely believed. That does not diminish all the wonderful good that he did. An apostle, who later became President of the Church, said that man would never reach the moon. 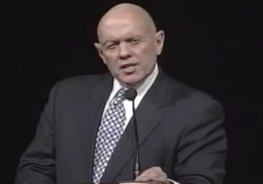 When this was raised with him after men had landed on the moon and returned home, he said, “I was wrong.” Another Apostle spoke at BYU and said the earth is 6,000 years old. He has the right to say that, because he sincerely believes it. I have every right and the responsibility to accept that point of view or reject it based on the scientific and spiritual evidence available to me. I should not be expected to accept that statement of the earth’s age, merely because it was an Apostle who said it. 7. I’ve been in the closet and there are no skeletons. The Church has had, and continues to have, excellent historians who are devout, active members of the Church. Why does Richard Bushman who wrote Rough Stone Rolling, the accurate and balanced biography of Joseph Smith, not become tipped over by knowing of Joseph’s humanity? I think these scholars look at the preponderance of evidence, and see the balance of good in counterpoint to any things that trouble them. They examine their own experience. 8. I believe the Church is true—enough. Someone who had gone through a crisis of faith said recently, “I believe the Church is true—enough.” We have been accustomed to thinking in binary terms about the Church—either it is true or not true. This person escaped from that simplistic thinking and came to a wise conclusion that was satisfying to them. Speaking now personally, it is easier for me to believe than to disbelieve. I believe strongly in a divine creator. If I and a friend were hiking, and came upon a shiny object in the dirt, assume for a moment that we brush it off and discover that it is a tablet with wi-fi access. Assume then that my companion says, “Isn’t evolution wonderful. Given billions of years of time and the coming together of elements, this electronic tablet was created. I would look at him and say, “I find it far easier to believe it was made in a factory in China and someone dropped it here by mistake.” And yet finding such a device is not as improbable as finding living creatures and plants, human beings, and a complex solar system. I simply cannot believe the world was created by chance. 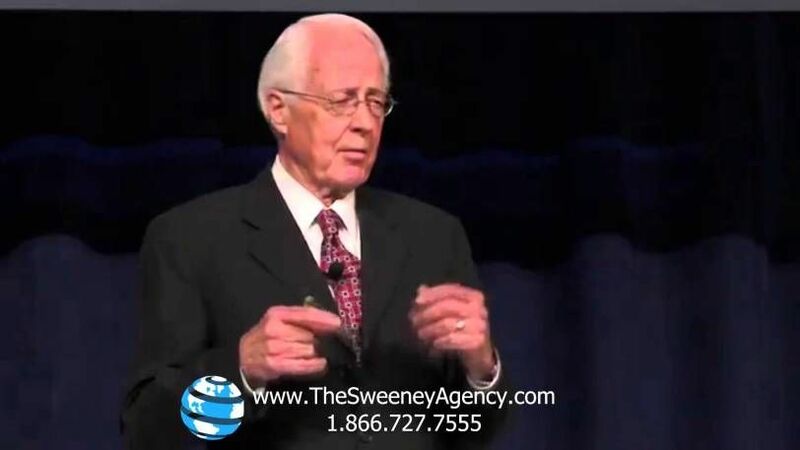 My recommendation is that parents and grandparents have frequent and honest conversations with youth. My recommendation is that we have honest conversations with each other about those parts of our history that might cause some to have doubts. I strongly believe that the adversaries of the Church will continue. We should be able to have calm, intelligent conversations about their questions and be able to present an appropriate counterpoint to these critic’s concerns, not necessarily with the hope of changing their minds; but to prevent any other sheep from being lost. Finally, there is a quotation that I have been unable to find the exact wording for, but the essence goes something like this. I believe Anne Morrow Lindberg wrote it: The world would be a better place if those who believed would not look at the skeptics as if they were morally inferior; and if the skeptics would not look at the believers as if they were intellectually deficient. In truth, the believer can be a scoundrel and the skeptic can be an ignoramus. i Terryl L. Givens, “Lightning Out of Heaven: Joseph Smith and the Forging of Community, ” BYU Studies 45, No. 1 (2006) ii Michael Ash, Shaken Faith Syndrome, Foundation for Apologetic Information and Research, Second Edition, 2013, is one such book. This Foundation (FAIR) has extensive publications that could be described as “apologetic” on behalf of the Church’s point of view. iii Davis Bitton, “I Don’t Have a Testimony of the History of the Church”, FARMS Reviews, Volume 16, Number 2, 2004, p. 354. (Don’t be misled by the title of this talk. Bitton was a devout believer.) iv Those ideas come from Terryl Givens’ talk that is referred to in the footnote i. Do I identify the logic fallacies? Do I take some of the utter nonsensical statements such as “There are no laws of fair play or rules of engagement in this war as far as they are concerned.” to task. .Do I challenge you on ridiculous statements such as “The truth of the gospel and the divinity of Joseph Smith’s calling as a prophet of the restoration do not depend on his behavior as a human being and do not require perfection in his life.” because yes, it does matter. Do I ask you to identify what it was in his behaviour that made him less than perfect, in this context. You say there are no skeletons in the closet, but then say it’s okay because people like bushman wrote RSR, which, is a book basically about skeletons in the closet – and he hasn’t left the church so hey, it’s all okay. But then those antis are asking questions for which there are no good answers. Yeah, I’m confused. Or do I congratulate you for encouraging people to read up, and attempt to self inoculate? But I guess it was a sacrament meeting, and if you said something along the lines that there actually are answers, you just might not like them, that wouldn’t go down well. So for LDS audience, we’ll done.